If you have a disability, an apartment search can be a challenge. You might need an apartment that has special features, which means you don't want to waste time reviewing listings or visiting buildings that don't fit the bill. Also, federal law protects apartment hunters with disabilities, so it's important to become familiar with your rights before you begin to look for an apartment. Disabilities qualify for protection under federal law if they meet the definition in the Fair Housing Act (FHA). The definition might be broader or narrower than you think, and it's important to know whether you're entitled to legal rights under the FHA. If you believe that you or your future roommate has a disability, find out how to determine if it qualifies. 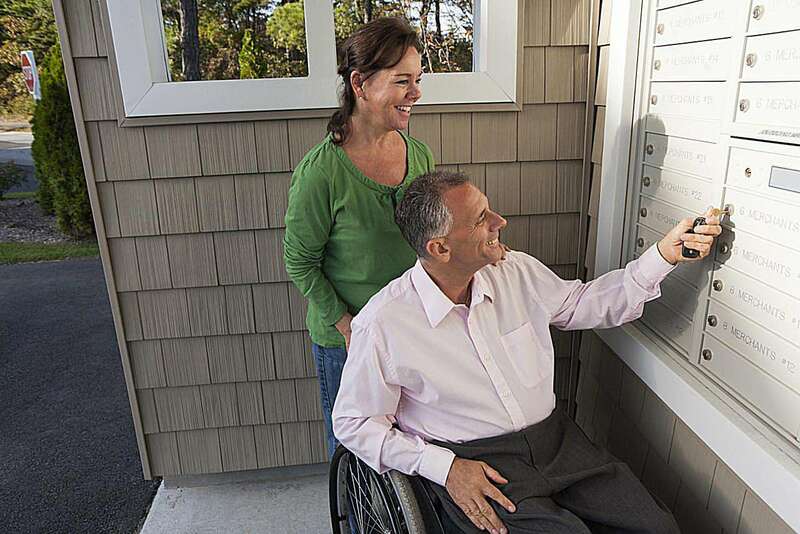 The FHA aims to ensure that your landlord treats you the same regardless of whether you have a disability. This way, you can enjoy your apartment -- and the experience of finding the right one -- like everyone else. There are certain things a landlord must and mustn't do under the FHA when it comes to dealing with prospective tenants who have a disability. Not every apartment hunter with a physical disability needs accessible features. But if you're one of many apartment hunters who do need to find an accessible apartment, there are several Web resources aimed at helping you run an efficient search. Find out how to use these resources to your advantage and avoid wasting time with apartments that don't fit your needs. The FHA requires landlords to grant apartment hunters reasonable accommodations that they need for a disability. For example, you might need to keep a guide dog in your apartment despite a landlord's no-pets rule, or you might need to access common areas in a motorized wheelchair, even though the rules ban electric vehicles from those areas. If you're interested in an apartment and need to ask for an accommodation, here's what you should know. Apartment hunters who have a disability should beware of "steering." A less direct form of discrimination, steering occurs when a landlord tries to limit someone's housing choices by guiding or encouraging the person to look elsewhere because she has a disability (or is a member of another protected class). For example, a landlord might illegally decide to put all tenants who use wheelchairs in one building, which means any apartment hunter who uses a wheelchair wouldn't learn about vacancies in all parts of the apartment complex. Learn how to identify and avoid illegal steering during your apartment search. If you keep the above tips and information in mind as you conduct an apartment search and believe that a landlord, broker, or other real estate professional has discriminated against you on account of your disability, you can consider pursuing a fair housing complaint against the person. The FHA lets you pursue a claim by filing a complaint with the U.S. Department of Housing and Urban Development (HUD), which saves renters time and money as well as the need to hire an attorney. If you decide to file a claim, here are the steps you'll need to take.